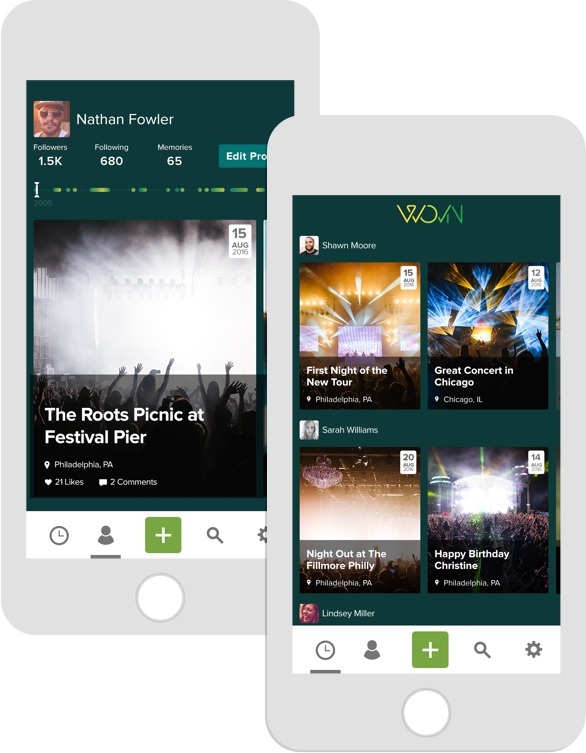 WOVN is an all-in-one story management platform that captures real-time events in high quality video, and then shares those moments to create a record of life’s memories. 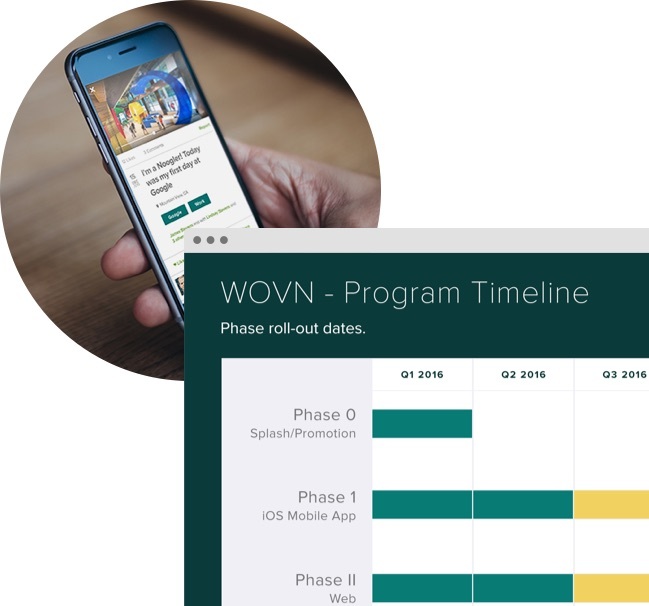 In addition to creating the product itself, WOVN needed a strategic partner to first research and define the market then help to create the long term vision for the product road map. With our lives busier than ever, recording and archiving memories ends up being the last thing on your to-do list that never gets done. We were brought in by WOVN to realize the app’s vision, from brand identity to product strategy to user experience to developing tech solutions and product testing. 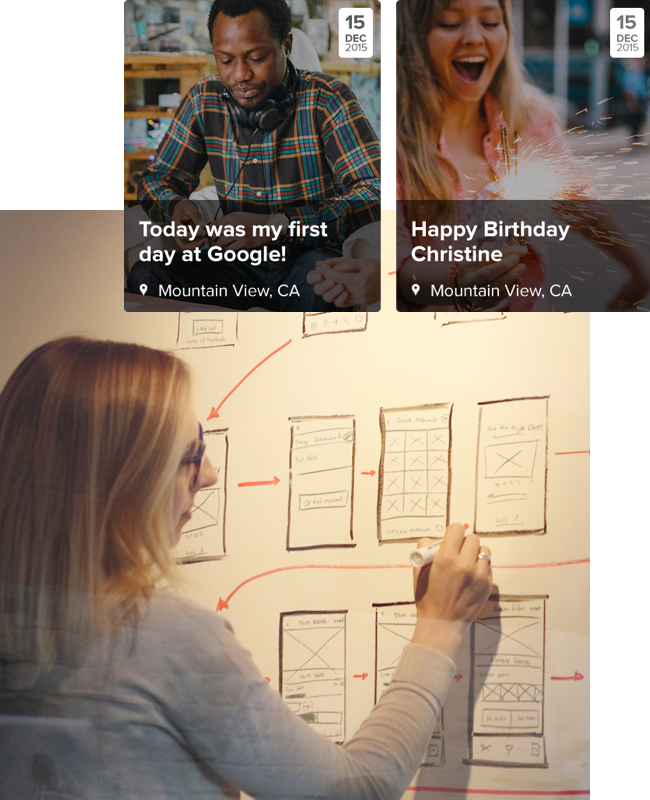 Life’s an endless opportunity; we built an app to remember it. The market is filled with image and content apps. But we had a hunch there were needs left unfilled. It was crucial for us to understand the market’s holes to develop WOVN in a way that differentiated the app from the many others. We knew the best product would be a complete package, so we needed to scope out its design and development with the end-to-end product experience in mind. With technology evolving at a rapid pace, we needed to develop a technical solution that easily could be expanded over time. In building anything innovative, you have to watch, listen, and learn. We combined insights gleaned from a deep dive into understanding behavior in how real users interact with video apps with an iterative approach to design and development to create a solution that can expand easily into other markets and platforms. To keep the product relevant and agile, we built a hybrid mobile app that easily works on both iOS and Android products, Apple TV and on the web, with a stack that works beyond just WOVN. What more do people need? Sounds existential, but with all the social content sharing apps out in the market, we learned from our research people still had needs in the video-sharing space. We surveyed a large swath of people for their opinions, their likes, dislikes and preferences for video creation and sharing, and compared that to our research of the market place. We scoured Facebook, Snapchat and interviewed potential users to figure out how to supply what the people want: longer format stories and an easier way to tell them. Getting from point A to point B isn’t always so obvious. We built a product roadmap for MVP and a Beta launch that focused on key features; and was built on efficient 2-week sprint cycles to keep our goals clearly defined and to ensure WOVN could get into the market quickly for testing and to continue its funding rounds. 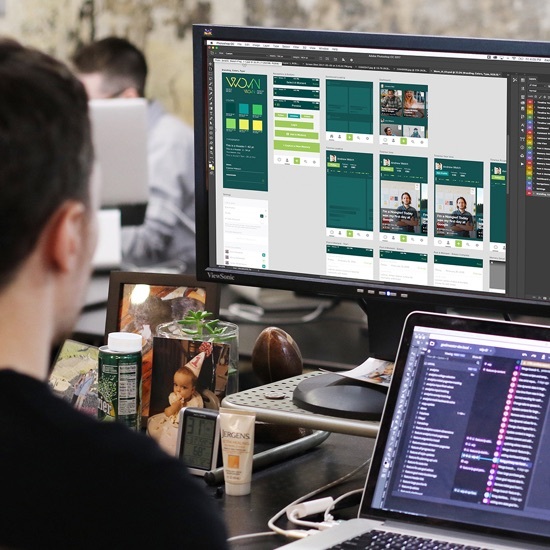 User experience is always is front-and-center, so we developed streamlined wireframes and a highly visual UI for both the app and beta website based on user input from our research. A custom timeline design and video creation and editing process allows users to quickly create and share their memories. We worked closely with the WOVN team to ensure functional and iterated demos got out the door on schedule every two weeks. Time and money are everything to start-ups. It was important that our solution considered the total cost of ownership to scale easily. 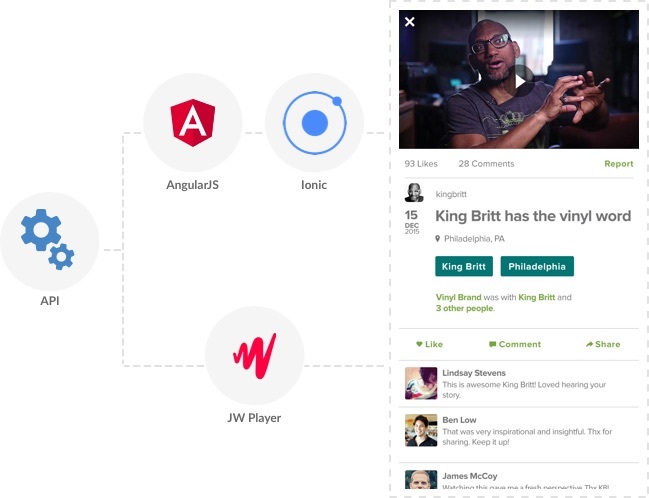 So we created an application and platform that works seamlessly on both iOS and Android, using the open-source Ionic Framework and JW Player for video hosting. 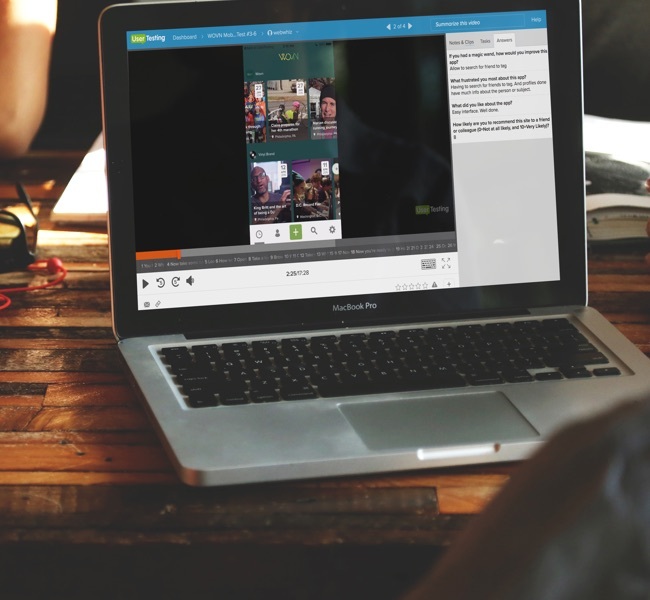 About 90% of the app works cross-platform, using only native code where it was absolutely necessary, so WOVN can be integrated into other viewing platforms like the Apple TV in the future. 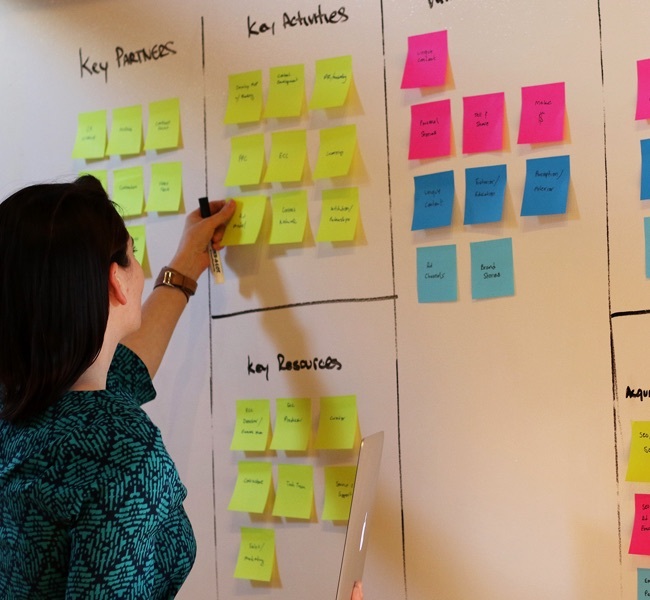 User insight is imperative to developing a successful user experience. We held multiple rounds of user testing to ensure WOVN captured people’s attention, but also to figure out where to improve. From there, we created a plan that highlighted the key elements in need of improvement and devised road map to future feature development. Imagine if background music or lighting changed automatically on one of your personal videos because the app understood the mood of the video. Through Watson Personality Insights we can process language and make an assessment on the overall sentiment of the piece.